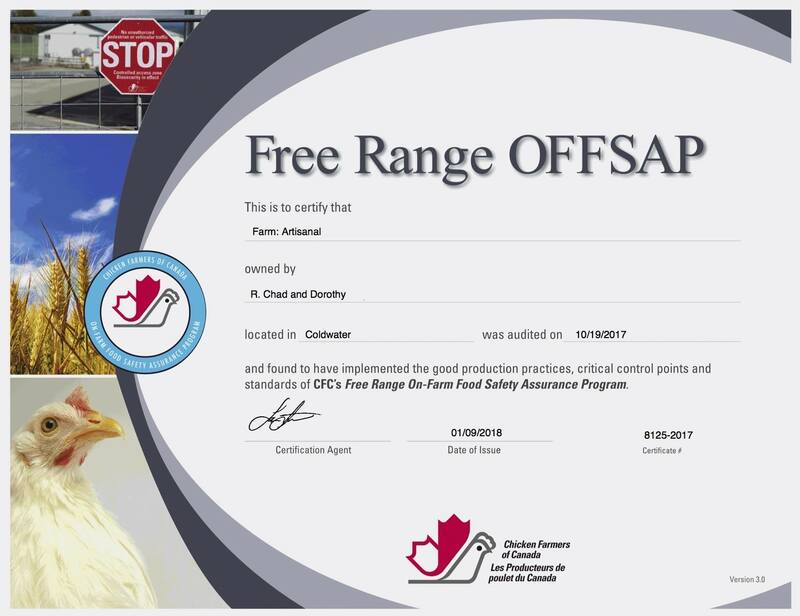 Free Range Chicken from Ontario Canada | Nutrafarms Inc.
NUTRAFARMS INC. is exceptionally proud to offer you and your family, Ontario-grown, ethically-raised, free range chickens. What makes our chicken free range chicken? Our birds eat a vegetarian diet that consists of all-natural grain-feed. The feed is void of any animal by-products and artificial growth agents. Ethically-raised, the chickens are free range birds which means they spend time outside daily once they are mature enough to do so. The chickens are free to peck and scratch on a surface consisting of grasses and legumes as a chicken should. The chickens are sheltered at night to provide maximum protection from predators. Locally Raised Grain Fed Chicken from Ontario Canada | Nutrafarms Inc. | Nutrafarms Inc.
Our chicken farmers provide their free range chickens with an abundance of space to roam freely. The birds are housed in barns which are naturally ventilated to maximize air-flow and create a constant influx of fresh outdoor air. The free range environment also stresses the importance of natural light and cycles. Most importantly, free range chickens are held to a high standard of cleanliness which requires that our birds have a clean bedding and fresh pasture. The combination of abundant space, natural air-flow, natural light, clean bedding and fresh pasture results in higher quality chicken. The difference is evident in each and every bite! How our free range chicken is processed. ​Just as important as how our birds are raised is how they are processed. 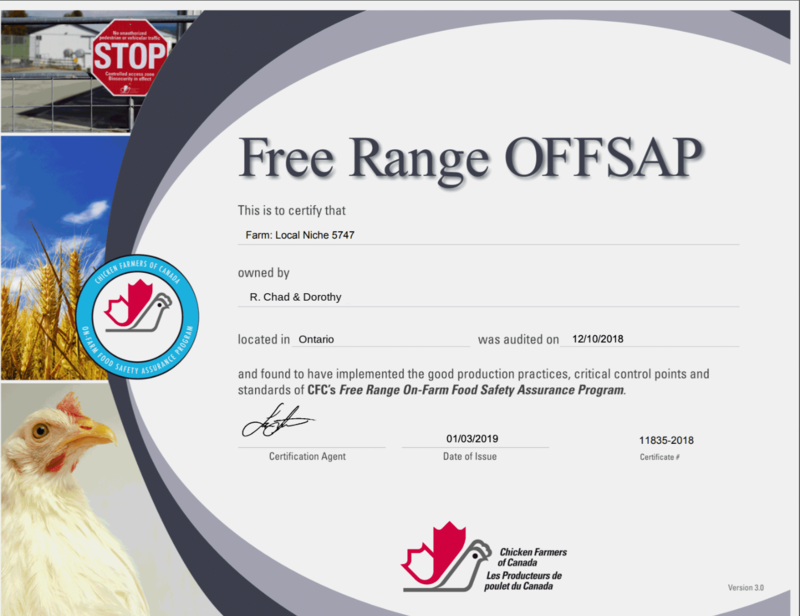 Our free range chickens are processed in an Ontario based, federally inspected plant. With real people inspecting the birds, the process takes much longer but ensures only the highest quality free range chicken makes it to you table. Our unique processing plant is federally inspected, and operates under the highest inspection standard that Canada has to offer. Our birds are authentically air-chilled to ensure little to no water is absorbed during the chilling process. Because our chickens never undergo the conventional immersion water bath you are only paying for the chicken you purchase and not any additional water weight. 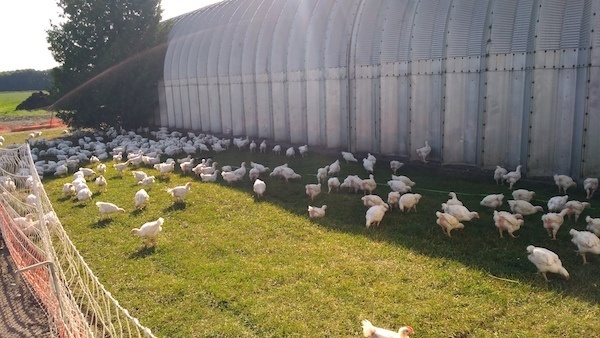 Nutrafarms' free range chickens are raised to the highest standards and regulated by the Chicken Farmers of Ontario under the Local Niche Program. 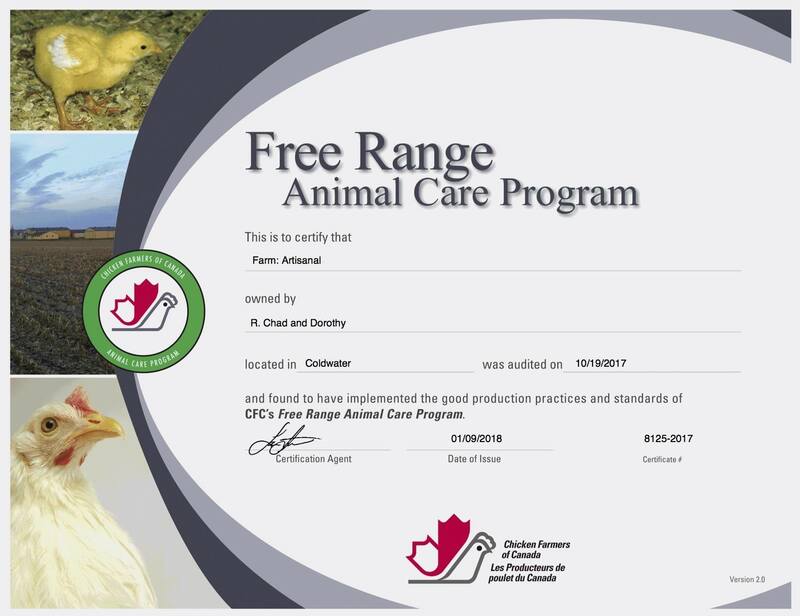 They are certified in the Chicken Farmers of Canada's Free Range Animal Care Program and Free Range On-Farm Food Safety Assurance Program. This assures you are getting the safest and highest quality food for your family. Chefs love the way an air-chilled, free range chicken cooks. It has a crispy skin on the outside and tender, juicy meat on the inside. 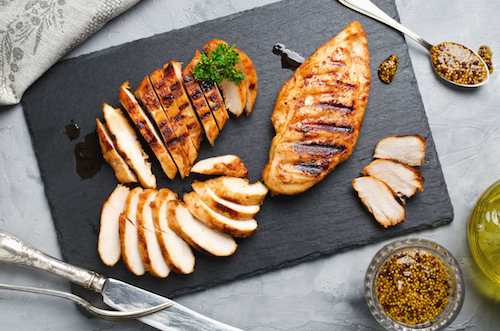 All of these measures come together to provide you, the customer, with the highest quality and freshest tasting chicken available in Ontario Canada. You don't have to take our word for it though, you can sample our delicious products for FREE! If you'd like to try a one pound sample of our premium products, so that you can see, smell, taste and feel the difference, click the button below and we'll deliver a sample directly to your door. Nutrafarms Inc. is a proud supporter of Ontario family farms and has been providing locally grown beef, pork and poultry across Ontario since 2001. | Nutrafarms Inc. 261 King St. Barrie, Ontario L4N 6B5. Copyright 2018 Nutrafarms Inc, all rights reserved.